We woke to another snowfall in Banff, I had to get out there to enjoy the beautiful views. It got even better when some of the clouds parted and the sunlight started to highlight the landscape. 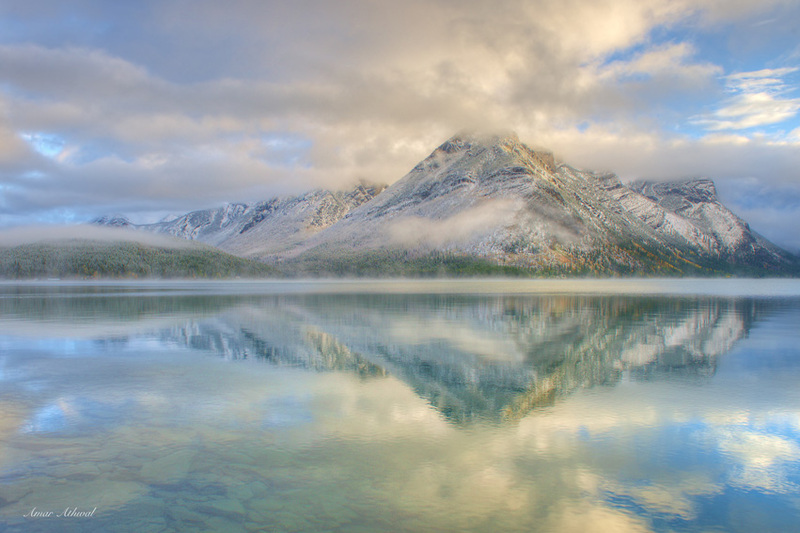 Here is a picture from Lake Minnewanka from this morning.